The physical, emotional, and financial impact of youth violence on neighborhoods, communities, and states is devastating. To address this issue in Massachusetts, the state created the Safe and Successful Youth Initiative (SSYI), a multifaceted strategy for reducing youth violence in the Commonwealth. 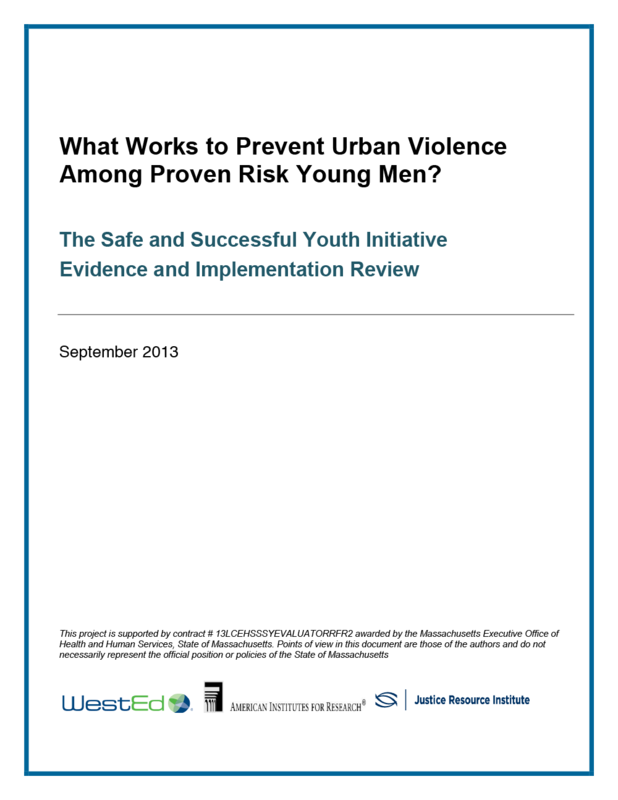 A companion report, Strategies to Prevent Urban Violence: A Companion Report to the SSYI Evidence and Implementation Review, is also available.